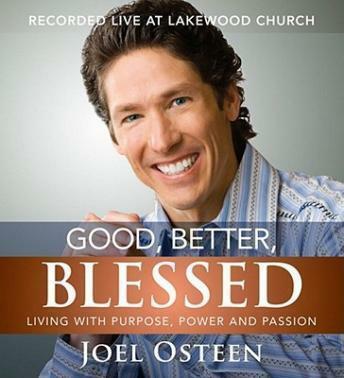 AVAILABLE ONLY ON AUDIO...TEN OF JOEL OSTEEN'S MOST POWERFUL SERMONS, RECORDED LIVE AT LAKEWOOD CHURCH! The Bible clearly teaches that God came to earth in order to give us an abundant life. It was never His intention for you to live in mediocrity, just getting by. In this audio series Joel Osteen shares practical and applicable truths that will help you reach your full God-given potential. Don't let 'good' be 'good enough.' You are uniquely and wonderfully made. You are God's masterpiece. You were created for greatness. God wants to bless you so that you can be a blessing to others.